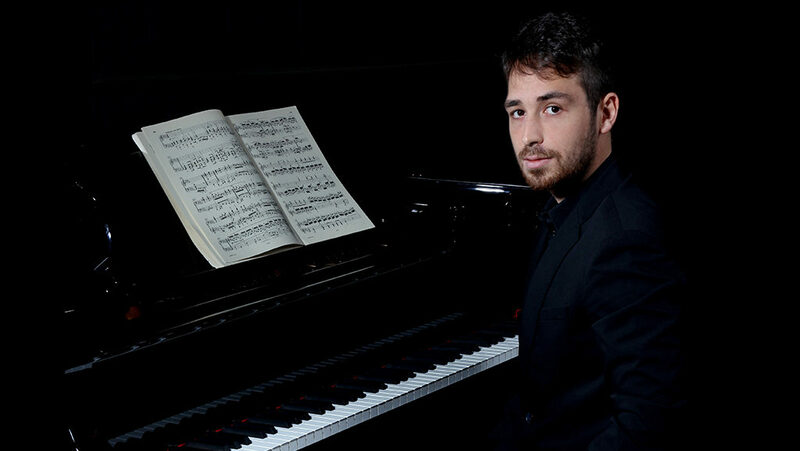 Pianist Simone Tavoni recently completed a Masters at the Royal College of Music in London, and is currently studying at Trinity Laban Conservatoire of Music and Dance with Deniz Gelenbe and Peter Tuite. He has given solo recitals internationally, including the United Kingdom, Denmark, Hungary, France, Germany, Spain, Malta, Greece and across Italy. He has featured as a soloist with international orchestras and performance venues have included the Liszt House in Hungary, Florence Conservatory Concert Hall, the Royal Festival Hall, Victoria & Albert Museum, Regent Hall, St James’ Piccadilly and the Hausmusik of Aarhus in Denmark. In 2016, Tavoni was been awarded a place on the BBC Pathway scheme and performed as a member of the BBC Symphony Orchestra in concerts recorded by BBC Radio 3.